Today I came across a vivid Easter Sunday representation of the Empty Tomb of Jesus, as described in the Gospels. In this depiction, as viewers, we’re inside the tomb and can see that it’s essentially underground and dark, and yet an attractive bright light draws our attention beyond the now open door. Right away some thoughts came to me. The Christian diagnosis of the human condition turns on a Greek word, hamartia, that’s most often translated as “sin” but that in the original language meant “falling short” or “missing the mark,” as in the case of an arrow shot toward a bullseye failing to make it to the target, falling short, and thus missing the mark. The Christian claim is that we all naturally fall short of our proper ideal. We fall short of what we’re shooting for as human beings who deep down want a good, meaningful, successful, fulfilling and loving life that makes its best potential impact on the world. We’re all somehow metaphorically buried in a tomb of mistakes and illusions, and the gospel claim is that there is one who has escaped that tomb, leaving it empty, and has invited us all out of it as well, while actually also empowering us to leave it and move into the light that awaits us. Plato had this image of a cave. He suggested that we’re all like men chained in an underground cave, watching shadows dance across its wall and mistaking those shadows as realities. We fear them or we desire them. We want to chase them or run from them. They monopolize our attention and define our lives. But they aren’t the realities among which we’re meant to live. The philosopher, Plato tells us, is the person who breaks his chains and leaves the cave, ascending into the light of the true sun outside, to see the realities within which we’re ideally meant to live. But then, this philosopher descends back into the cave to spread the word to the other captives that they, too, can escape these illusions and the darkness that envelopes their lives. The light awaits them all. 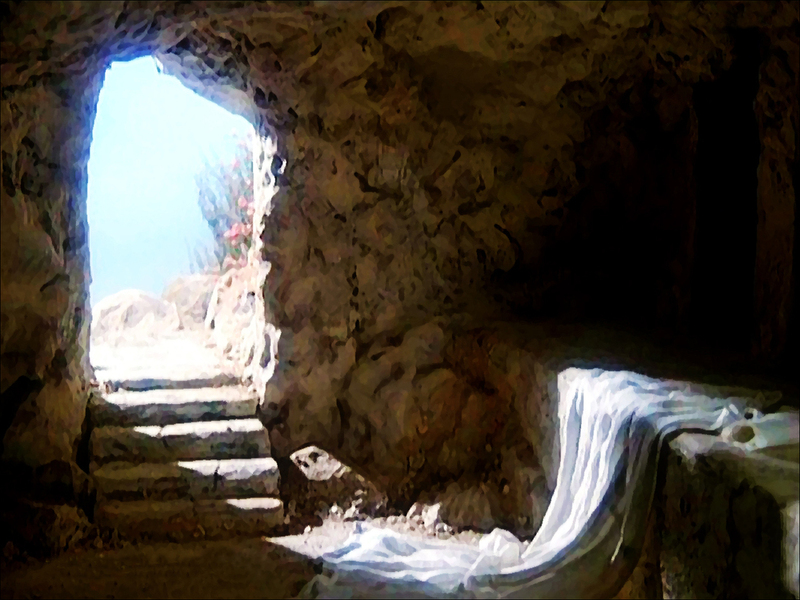 The tomb from which Jesus escaped can be viewed as symbolically representing that same cave, where we're cut off from the true light and life that we’re meant to have. The Easter message is that the one who left that tomb empty invites us all to leave the realm of illusion and get out where we can hit the intended mark, following him into the light.